Easter is just one day away! Do you have any special plans or family celebrations scheduled? We love to have parties and dye eggs. If you need something quick and fun to do with kids this weekend, here are a few of our favorite Easter activities for toddlers and preschoolers. Just click on the links below to find the full tutorials. We just did bunny mallow color matching yesterday and it was a hit... though the life sized bunny friends and volcano eggs were probably the most popular. 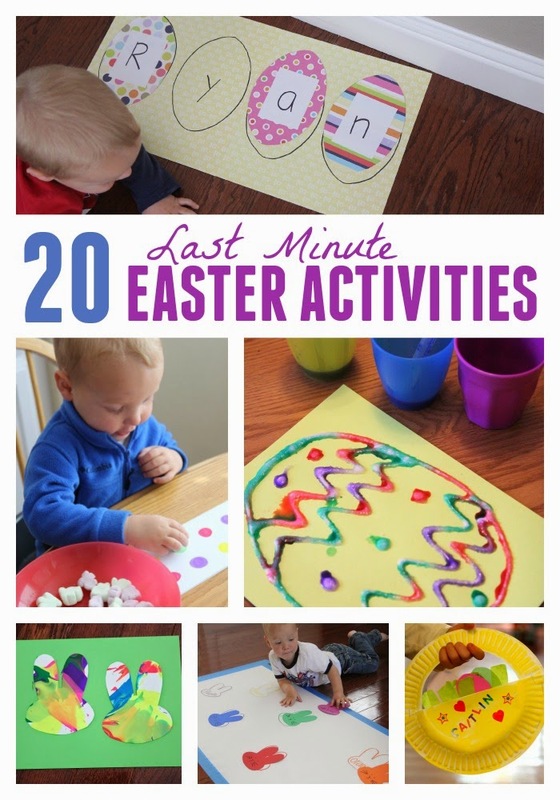 If none of these ideas work for you, check out our Easter Crafts and Activities pinterest board. I have almost 200 pins for you to look through. I'd love to hear if you have any other favorite Easter crafts or activities that are part of your tradition!